Pictured with Keith Finnegan at the launch of the Lions Club Radio Auction are Mayor Noel Larkin, Diocesan administrator Canon Michael McLoughlin, Galway Lions Club president Matt Molloy, project chairman Brian O'Keeffe. The Galway Lions Club Radio Auction will be held on Friday December 9 between 9.00am and noon and will once again be broadcast live on the Keith Finnegan show and will be streamed live on facebook. This new innovation is thanks to two young film students, Kieran Burke and Graham Sheehan, from the Centre for Creative Arts and Media at GMIT. Galway Lions are, once again, seeking the support of local businesses and organisations in helping the less well off in our community, by either making a financial donation or by sponsoring an item that can be auctioned, and from the public in purchasing the items offered for sale. Sponsors and donors can receive significant exposure through local media during the lead up to the auction. All donors of items will be entered into a draw for one of three prizes each valued at €500. This year we are delighted that our main sponsor is once again Tony Burke Motors Main Toyota & Lexus Dealership who have supplied our star item, a voucher to the value of €16,000 towards the purchase of any new car in the Toyota range. In addition to the Toyota voucher, the Lions Club expect to have over 200 items for sale from weekends away to shopping vouchers to furniture. So if you want a bargain, some early Christmas shopping or just want to support a worthy cause, get your bids in. 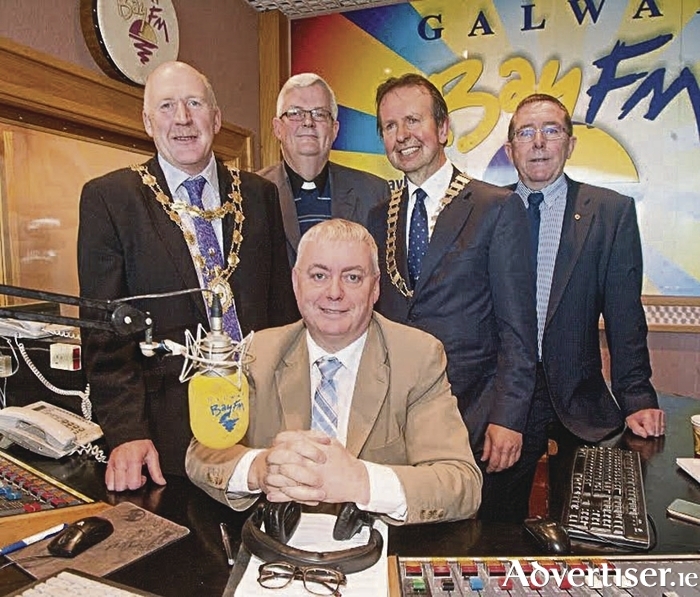 The Radio Auction is 28 years in existence and during this time it has raised in excess of €700,000, thanks to the generous support of the business community and the people of Galway. Galway Lions President Matt Molloy said “This year we have set ourselves a target of raising €40,000 through the auction. Yes it is an ambitious target, but the reality is that the need for our help is growing, particularly at this time of the year. “Our role as Lions is to help those in need in our community in any way we can. We see our task as trying to give that extra little bit of help that might just make the difference and maybe help someone through a bad patch or give them the hand they need to help them back on their feet. You can bid on line from 9am. Monday Dec 5 until 12 noon on Dec 9 on the auction website at www.auction.galwaylionsclub.ie, or on the day by phone on 091-780780, lines will be manned from 9am. Alternatively if you have something to donate or sponsor contact the club in advance at [email protected]. For more information please check out www.galwaylionsclub.ie, or email [email protected]. In addition to the radio auction you will also see our club members collecting at major shopping centres over the coming weeks and large Teddy Bears are visible in businesses across town you are encouraged to buy a line or two for the draw.